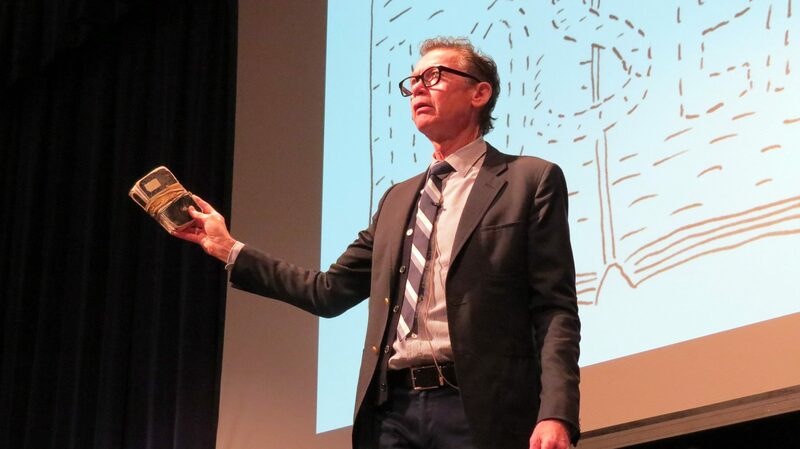 Jack Gantos mesmerized MUS students on Friday, November 3, as the finale to our Teen Read Week celebration. 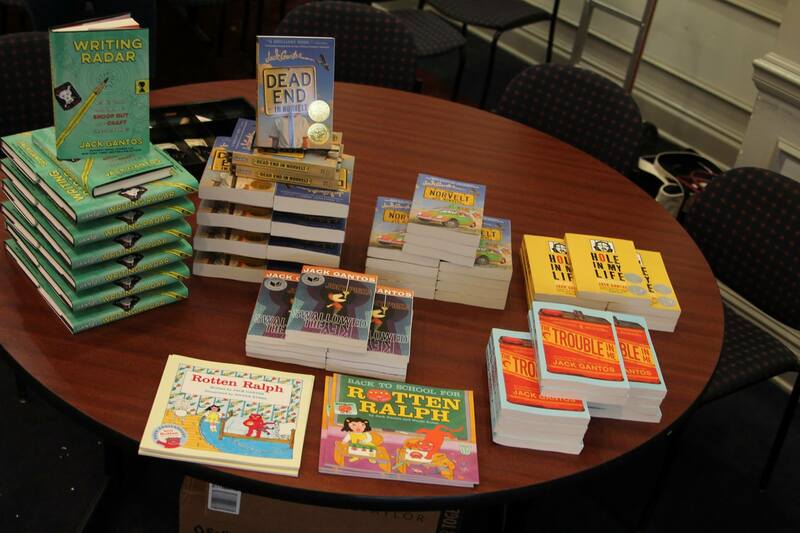 Gantos won the 2012 Newbery Medal for his Dead End in Norvelt and is also known for several popular series about Rotten Ralph, Joey Pigza, and Jack Henry. His YA novels, Hole in My Life and The Trouble in Me, were finalists for several major literary awards, and his latest book, Writing Radar, draws on his expertise on the craft of writing. 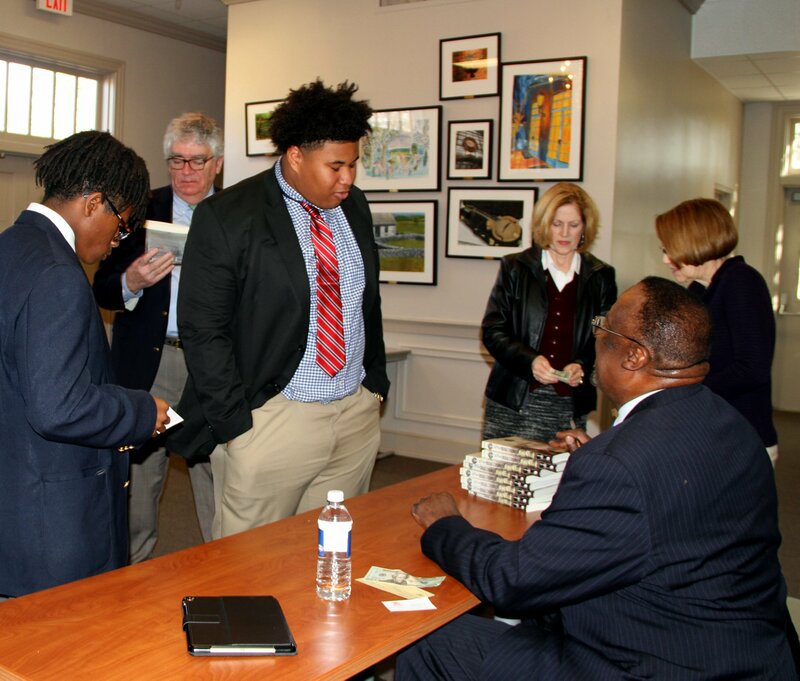 After chapel on November 3, we served cookies in the Dining Hall and held a book signing, followed by writing workshops for students in the Wunderlich Lecture Hall. 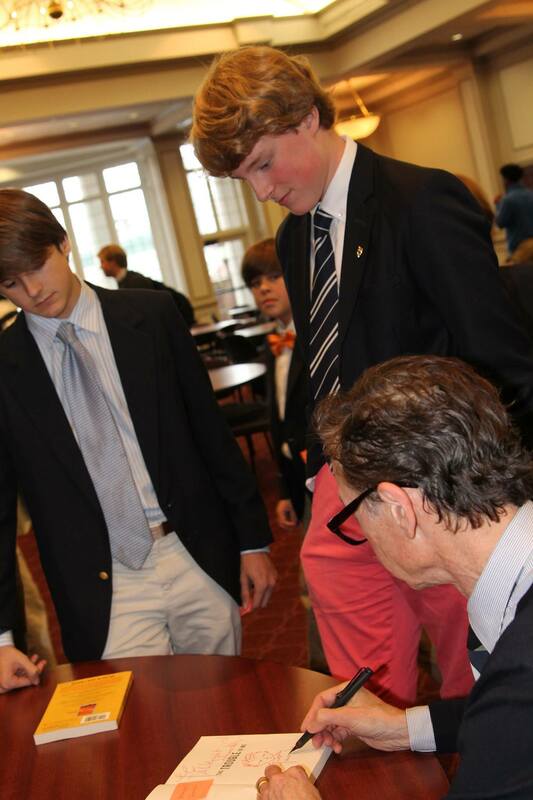 Groups of students were selected to have lunch with Mr. Gantos, and many others were able to speak with him and get his advice on writing. Find out more about Jack on his website: photos, videos, stories, and discussion guides. Check out some of his books below. 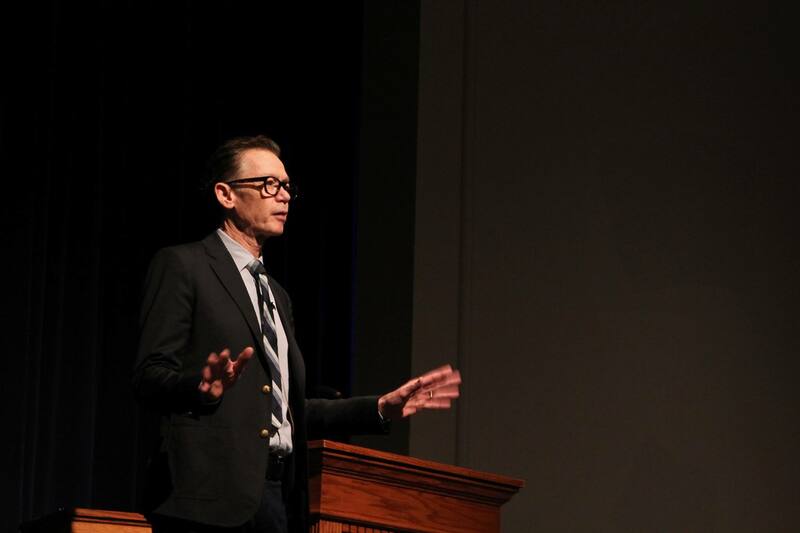 Otis Sanford introduced students and faculty to both little-known and well-known pieces of Memphis history on Friday, January 26. 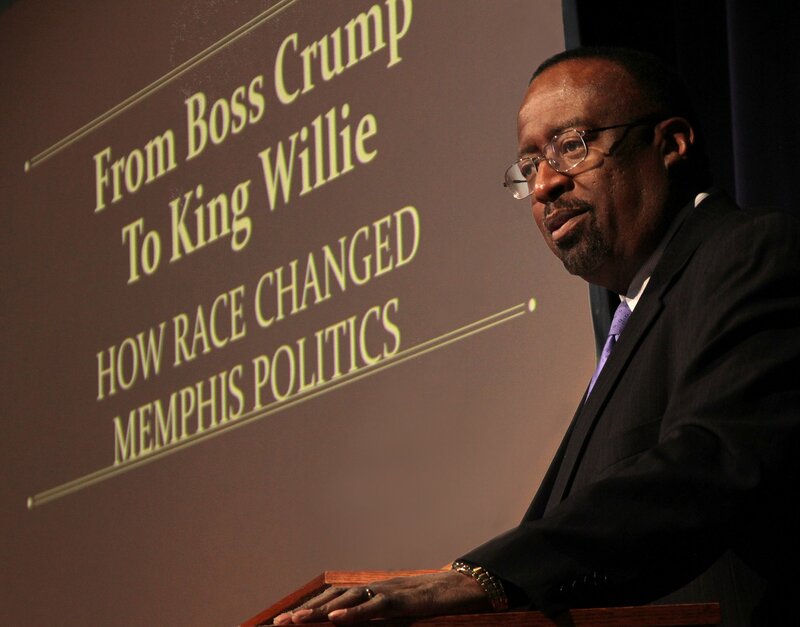 Sanford teaches journalism at the University of Memphis, pens a regular column in the Commercial Appeal, appears on News Channel 3 regularly, and has recently published a political history of Memphis, From Boss Crump to King Willie. Sanford was able to reschedule for us after his visit coincided with our first snow day of the year. He answered questions from the audience and signed copies of his books afterwards. Published by the University of Tennessee Press, Sanford's history draws on interviews, decades of reporting, and extensive research.